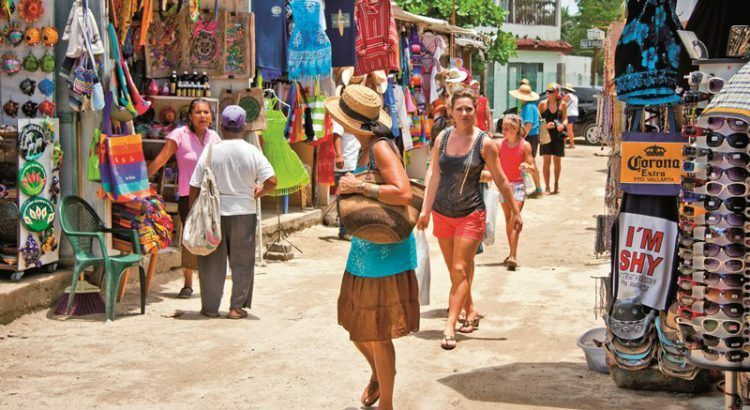 Everything seems to be done at a much slower, more relaxed pace in Mexico, and for some people this is a true blessing. Retirees, in particular, love this, and if you’re seeking to get away from the harried pace of life that some of the bigger cities in the USA offer you’ll definitely love it. With the exception of work and medical appointments, punctuality is somewhat less of a priority for many in Mexico. If you’re meeting for dinner at 7 you can reasonably expect that some members of your group will not show up until 8:00, or even later! Likewise, if a handyman is coming to fix something the same mentality will apply; if you’re planning construction work be prepared for it to outlive the quoted time. No disrespect is meant, it’s simply the way life goes here. If this is really going to stress you we suggest that you plan for it by showing up later yourself, or even just accept that it will happen and pack a book. Some people are very surprised to find that the average working week for most Mexicans is actually 6 days long! That’s right – the average person in Mexico has only one day off each week. To those of us who are used to a longer weekend this may seem like cruel and unusual punishment, but in fact most Mexicans don’t let it get in the way. Downtime is precious here, so when people aren’t working they pack their social lives full with family feasts, social gatherings, and adventures. You may be required to work more hours when you move to Mexico, but you won’t be expected to take your work home or be a slave to your job; your social life will no doubt thrive! This one is especially key for drivers; be prepared for a culture shock when you begin driving in Mexico! Transport laws are not heavily enforced, so drivers, especially experienced drivers, tend to make up their own rules. From passing anyone, anywhere to driving the wrong way down a one-way street, Mexico can be a wild ride. Just stay alert, use common sense, and pass with caution, and you should be fine. Public transport isn’t much less exciting, either, and in fact it may be more so! The buses in Mexico let all kinds of characters on board from beggars and street performers to animals (though this is at the discretion of the bus driver). In cities public transport can get very crowded at peak times, too, so be prepared for some jostling. You’ll get used to it pretty quickly, but be ready for the culture shock and please, please don’t forget your seat belt! Keep this in mind and you should settle into life in Mexico without too much trouble.